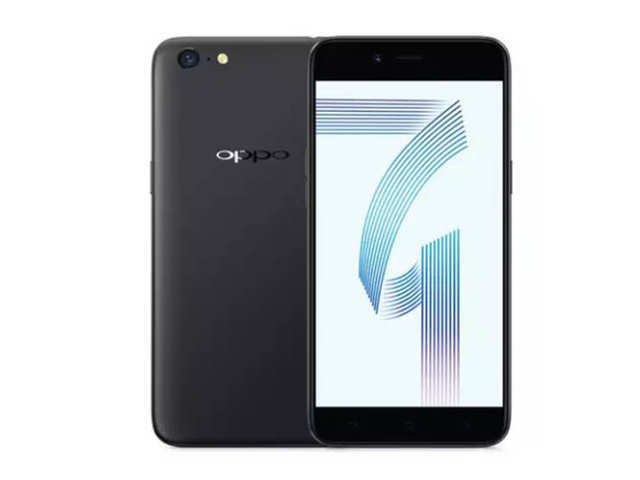 NEW DELHI: Opporecently launched its budget smartphoneOppo A71 (2018) in Pakistan. Now, a reported has surfaced online suggesting that the company might soon launch the smartphone in India. The report also suggests that the company will name the smartphone as Oppo A71s in India and it will come in two colour variants – Gold and Black. According to a report by Phoneradar, the smartphone will come with same set of specifications and is expected to be priced around Rs 9,990. Just like the Oppo A71 (2018), the A71s will come with an AI Beauty Recognition Technology. Along with this, the device will also be able to capture selfies with bokeh effects. The front camera will also use the built-in smart arithmetic optimisation which will differentiate between the subject and the background. Along with this, the rear camera of the smartphone will have the Multi-Frame Denoising Technology and Ultra HD Technology using this, the users can capture images in up to 32MP resolution. In terms of specifications, the Oppo A71s will come with a 5.2-inch HD display with 720×1280 pixel resolution. The smartphone will run Android 7.0 Nougat operating system topped with the company’s own ColorOS. The device will be powered by a quad-core Qualcomm Snapdragon 450 processor paired with 2GB of RAM. It will offer 16GB internal storage which can be expanded up to 256GB by adding a microSD card. The samrtphone sports a 13MP rear camera with f/2.2 aperture and LED flash. The front will house a 5MP shooter for selfies. The handset will house a 3,000 mAh battery and offer 4G, VoLTE, 3G, WiFI, Bluetooth and GPS as connectivity options.